August 21, 2017 is just under full year away. For Dr. John Helferty and his College of Engineering students, it can't come soon enough. As the 2016-17 school year goes by, this group will be preparing to take part in a historic event next summer that has already garnered national attention. The group effort will put together a high-altitude balloon to capture the first total solar eclipse visible exclusively across the continental United States in recorded history. Helferty's lab has been working on the balloon, which will reach near-space heights while carrying cameras that will photograph and stream the event to NASA's website for global viewing. Temple's team is part in a nationwide effort bringing together 80 schools across 41 states, organized by the University of Montana for NASA. This total solar eclipse is the first visible in the United States in almost 40 years and the first to cross the continent since 1918. It will travel a thin band starting in Oregon and arcing south through the Northwest, the Midwest, and continuing through the South, crossing the Atlantic coastline in South Carolina. 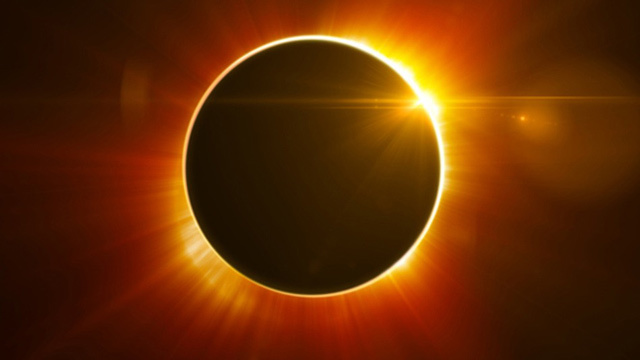 While the eclipse will pass through portions of about 15 states, a partial eclipse should be visible for thousands of miles from the main path. In Philadelphia, that means we will enjoy a glimpse into the historic event but nowhere near the awe-inspiring sight of the full eclipse. The Temple Engineering group plans to travel to Kentucky, directly in the path of the total eclipse. Temple and Dr. Helferty have a strong relationship with America's space agency. Dr. Helferty worked in jet propulsion for NASA at their facilities in Pasadena, California in the 1990s. During his 30-year tenure at Temple he has sent many of his students to the summer program at the NASA John Glenn Research Facility in Ohio, Marshall Flight Center in Alabama, Goddard Flight Center in Maryland and Wallops Flight Facility in Virginia. One student who got that great experience at the Glenn Research Facility is electrical engineering senior Abby Sydnes. She brought some of that experience into this project. "One of the things I did at Glenn was communications work, related to antennas," she said. She's also used her experience with microprocessors and software tools, along with coding in Python. "There's been a lot of overlapping topics from some of the classes we've taken." Another team member, Michael Mazzanti, spent part of the past summer attending training sessions held by NASA learning about payloads and the systems used in the balloon launch. After imparting this knowledge to his colleagues, he's working on the video aspect of the event. "You can be at 100,000 feet in VR goggles, looking up at the eclipse, down to the Earth, back down to the stars," he said. He credits his Software Tools class with Dr. Picone as a key resource in preparing him for this project. "His class really helps you with working full, entire systems. Not just working systems but efficient systems that work under grueling conditions." After some equipment and weather issues, the group finally tested the balloon in the last weekend of October on the school's Ambler campus. "It went pretty well," said Sydnes. "The first time we didn't have enough helium in the balloon to launch, that was our fault. Trying to figure out how to launch a balloon was new for us. We got it a couple hundred feet in the air, tethered of course." The group also used a remote-controlled quad copter to observe the balloon and capture some footage. The balloon group has made significant investment in raspberry pies. No, this isn't for a celebration. These "pies" are microcomputers found in hobbyist stores that runs Linux and can handle various operations. They interact with different sensors and motors used in the launch and flight. While the balloon got off the ground (and back) successfully, there's still work to do. Sydnes noted communications could improve. The plan for the eclipse launch moved their site from Tennessee to Kentucky to improve the landing site and recovery of the payloads. The team will also integrate a VR camera to the payload. The group has worked with professors from other schools to solve problems, along with groups from Souderton High School and Montgomery County Community College. Eddie Macmurchy brings his mechanical engineering expertise to this project. He has worked on the launch sequence and timing, along with protecting the components and video in temperatures that will be below -60 degrees Celsius. Success will likely hinge upon the balloon reaching the proper altitude of 80,000 to 100,000 feet in a set window, as eclipses last no longer than seven minutes. "It will take a little bit of math, moreso a lot of practice in terms of how we launch it," he said. "The process of launching a balloon is kind of involved." Watch the video of their test launch. Stay tuned for Part 2 coming next semester.